Rave is unbridled energy & unmatched mental enhancement. Workouts are more intense, big projects become child's play, exams wilt under your powerful pen and games yield to your enhanced reaction time. Taurine a naturally occurring amino acid, that can activate the brains’ suppression of anxiety and stress as well as support memory formation. Acetyl-L-Carnitine, a modified version of L-Carnitine can cross the blood brain barrier and support formation of acetylcholine, which enhances mental energy and offers better concentration and focus. N-Acetyl-L-Tyrosine can help with stress management but also helps with production of several neurotransmitters like dopamine, norepinephrine and noradrenaline. Choline bitartrate is an effective source of choline for the biosynthesis of acetylcholine a key neurotransmitter involved in arousal, focus, and motivation. MagicLion™ is an exclusive extract of Hericium erinaceus only found in RAVE. A specialized extract of the fruit body, rich in naturally occurring compounds that boost cognitive function and support nerve generation. Huperzine A is an alkaloid isolated from Chinese Club Moss. It’s an inhibitor of the enzyme acetylcholinesterase, which breaks down the neurotransmitter acetylcholine. Huperzine is used for memory and learning enhancement, as well as enhanced alertness and energy. L-Theanine, found in green tea, provides a calming influence over what can be a harsh edge to a caffeine-induced ‘energy rush’. It blunts the crash and at the same time enhances mental focus, mood and memory. Kigelia Africana is native to Southern Africa, with an unusual grey sausage shaped fruit. It’s preparations have numerous traditional uses from antibacterial to pain relief. It also contains compounds that provide an incredible euphoric stimulant sensation. Higenamine is a naturally occurring compound found in sacred lotus (Nelumbo nucifera). As a β2 adrenergic agonist it enhances oxygen availability, but also increases energy levels, improves focus and mental clarity. 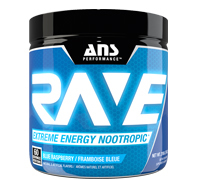 DIRECTIONS: Mix 1 scoop (3.5g) of RAVE with 6 oz of cold water and consume 15-30 minutes before activity. 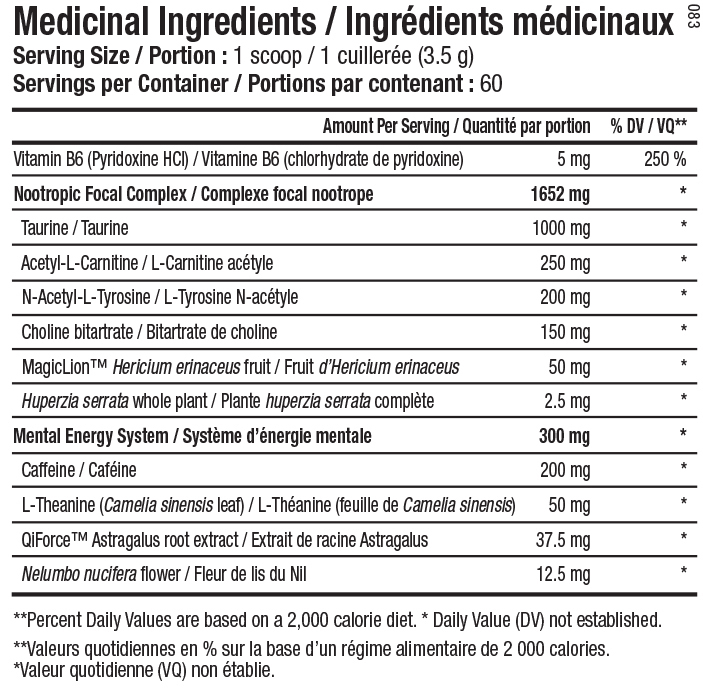 Do not exceed 1 scoop with first use of product. Assess your tolerance to RAVE prior to increasing dose. Dose may be increased up to a maximum of 2 scoops (7g) for extreme focal intensity (mixed in 10-12oz water). Do not take within 4 hours of intended sleep. Read entire label before use.